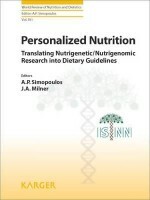 Nutrigenomics and Nutrigenetics in Functional Foods and Personalized Nutrition@9488 Rs [Mrp:-9488] - Onlinedeals.discount - A leading product discovery and comparison website. Find the true prices of products, read reviews and buy top brand products at reasonable prices. While functional foods have become a reasonably well-established concept, personalized nutrition is still treated with skepticism by many. The recognition that people would have different nutrient requirements, or perceive foods in different ways, raises several concernsâ€•some real, some not so real. 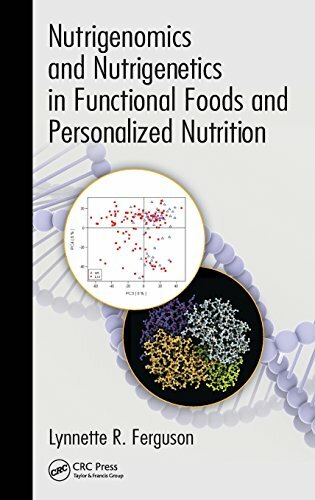 Nutrigenomics and Nutrigenetics in Functional Foods and Personalized Nutrition addresses what is needed to bring nutrigenomics, nutrigenetics, and their associated technologies to market in a truly impactful way. 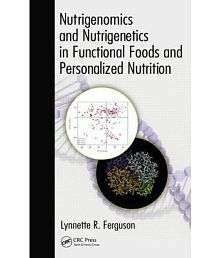 Edited by Lynnette R. Ferguson, a well-known and internationally respected researcher, the book covers a wide range of issues, from the purely scientific to ethical, consumer-driven, and public health aspects. It takes a close look at geneâ€“diet interactions and explores the ways in which studies on nutrigenomics and nutrigenetics can help modulate disease risk in cardiovascular disease, obesity, diabetes, and inflammatory bowel disease. Topics include regulatory challenges, genetic testing for consumers, data mining, transcriptomic analysis, and the role of science and health professionals in the commercialization of nutrigenomics and nutrigenetics. The book also examines industryâ€“academia partnerships as a nexus between the science and its commercialization by the food industry. These partnerships will be an important determinant of what value the technologies bring, not only to the market but to the wider health and well-being of society. Exploring how nutrigenomics and nutrigenetics can help modulate disease risk, this timely book brings together stimulating, well-thought-out perspectives from established and emerging researchers. It provides valuable information on a subject that is becoming increasingly important for nutritionists, dieticians, and clinical professionals, as well as for the food industry and research community.